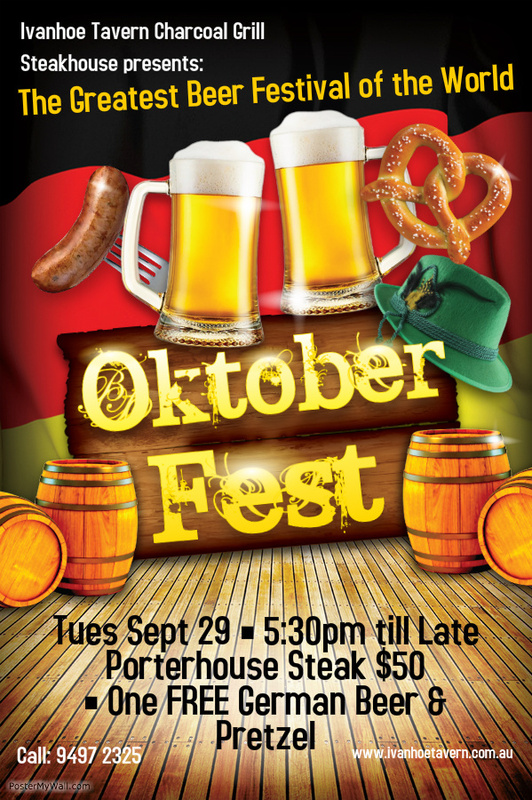 October Fest on Tuesday 29-09-15. Let’s celebrate ” October Fest” with a Steak & German beer. 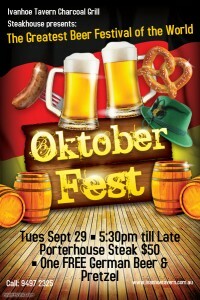 $50 – Order a Porterhouse Steak and receive a German beer and pretzel for free.